Team Hot Wheels Yellow Driver, Top Gear Presenter, former Formula Drift Champion and all round skills merchant,Tanner Foust, is pushing the boundaries. Not content with going sideways further than anyone up Mulholland Drive, he has now gone and broken the world record for distance jump in a four-wheeled vehicle before the Indianapolis 500 on May 29th 2011. 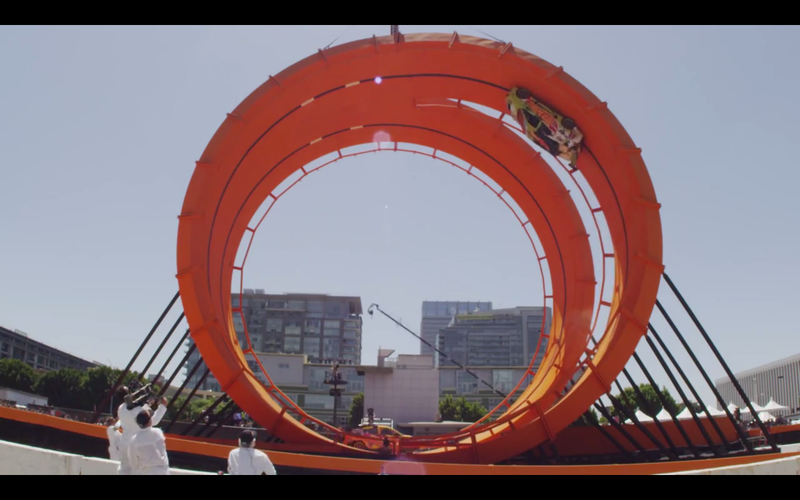 Watch what it’s like to drop 10 stories down 90 feet of orange track and soar 332 feet through the air. Previous ArticleMercedes SLS Roadster. Wait…No Gullwing Doors? He should have kept the power on and drifted round the tarmac after he landed.